133 May 13/13 White hydrangeas, Mother's Day Flowers from my son. Thank you all for the wonderful comments and condolences yesterday. Today we have an appointment to make the funeral arrangements, something none of us have any experience with. Stunning shot, excellent color and detail!!! 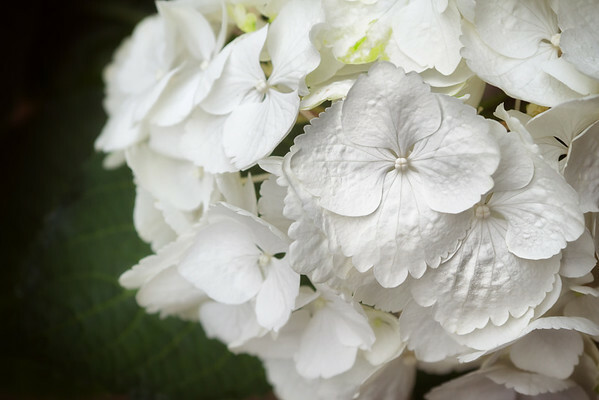 Love hydrangea and this one is gorgeous. Jusr gorgeous, the detail in the petals are just lovely. beautiful detail. The people at the funeral home are usually very knowledgeable and compassionate and will work you thru the process (I've been there too many times) I am sorry for your loss.